Failure to abide by “no passing” signs can result in heavy fines and penalties or, even worse, in serious injuries or death. Safe driving can mean the difference between life and death. It is therefore important that when we are driving to work, home, or to any other destination, we exercise great caution. Unfortunately, each day there are drivers who choose to drive negligently and as a result, put lives at risk. While there are often no restrictions on passing other vehicles, strict restrictions may apply in areas including high traffic zones, school zones, and construction areas. 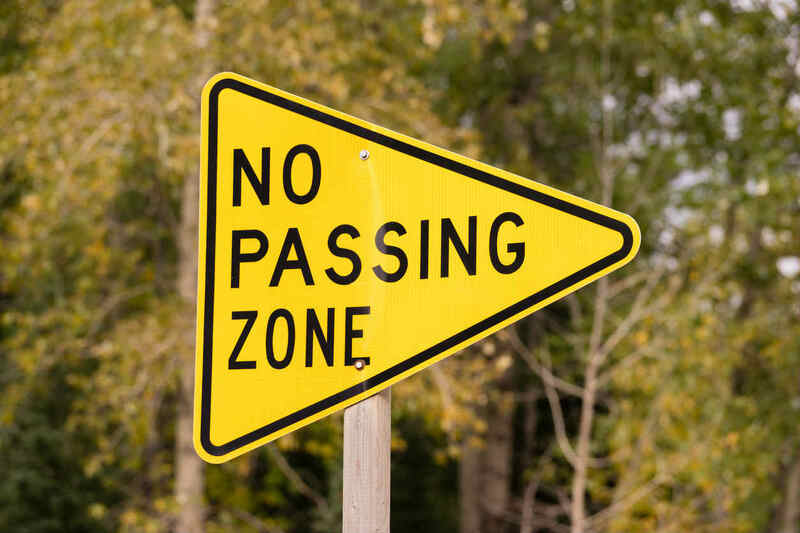 Additionally, these “no passing” signs are often found in areas that are deemed accident-prone or areas with low visibility. If a driver fails to observe “no passing zone” signs, they may be found guilty of a moving violation. Keep in mind that these regulations are put in place, not as an unnecessary burden, but to protect pedestrians, passengers, and other drivers. If you have been involved in an accident with another driver who was passing in a no passing zone, you are likely entitled to compensation from the negligent driver. It is important that you act as quickly as possible to protect your rights after a car accident. Research has shown that people who take the advice of a lawyer during a personal injury claim, have received more that twice the amount in compensation they would have received negotiating the claim on their own. At The Hoffmann Law Firm, L.L.C. our St. Louis car accident lawyer has over 20 years of experience and thousands of cases to his credit. We focus our practice exclusively on handing injury claims that arise from car accidents in Missouri.Give us a call today at (314) 361-4242 for a FREE initial consultation with an experienced attorney.